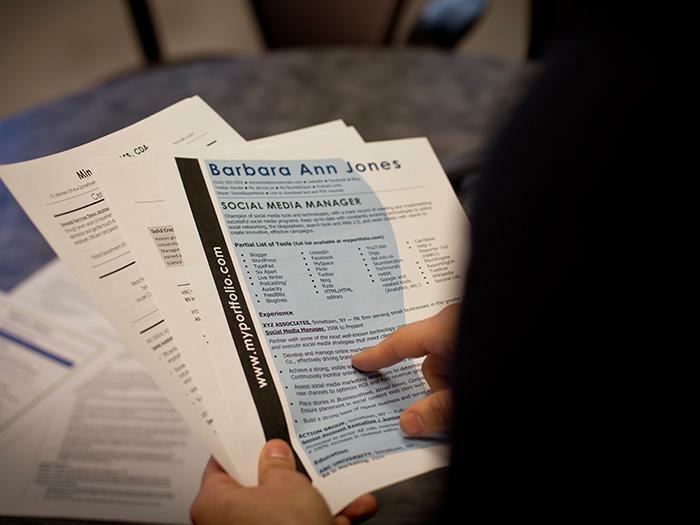 Too many people make the mistake of thinking that a resume's purpose is to get them a job. Actually, resumes open and close doors. Their main purpose is to make an employer interested enough to invite you in for an interview. But how do you create that interest when you don't exactly fit the mold? Just as people come in different sizes and shapes, so do resumes. The chronological resume seems to be the most popular format used. This type of resume usually contains an objective and/or summary statement and a chronological listing (from most recent to past) of all your employers along with related accomplishments. Educational information is included along with certifications and special skills. This type of resume may be fine for someone who is experienced, but if you are switching careers or are just entering the workforce, this type of resume will most likely help you wind up in the "no" pile. So how do you showcase your talents if you can't lay them out like everyone else? Take the time to develop a strong functional resume. Functional resumes highlight your abilities, such as hiring, managing or coaching, rather than your chronological work history. You'll still need to summarize your work history, but this is usually done at the bottom of your resume. Don't panic. By the time the reader has gotten to that point, he is usually sold on bringing you in for an interview. Most books on resume writing contain sections on how to write functional or skills-based resumes. Go to your local bookstore or library and thumb through some books. Then make your selection. One of my favorite books on this topic is an oldie but goodie. It's old enough to be out of print, but you can still find copies online or at libraries. The book is titled Go Hire Yourself an Employer by Richard Irish. It just goes to show that solid advice is just that -- solid. Have gaps in their work history. Are looking to transition into new careers. Don't exactly fit the mold of what recruiters are looking for in the positions they want. The reason functional resumes work well in these situations is that many of us have acquired skills while working that are very transferable. For example, if you have worked as a retail manager, chances are you were responsible for hiring, training, coaching, evaluating and handling employee relations issues. If you were to submit this information in a chronological resume, there's a good chance a hiring manager (or computer) might skip right by you, because you did not hold the title of human resources manager, even if 50 percent of your day was spent dealing with HR-related issues. It all comes down to how you package yourself. You can give employers the same information, only in a new and improved package. This is bound to get you more interviews, which will increase your chances of landing the job you want.